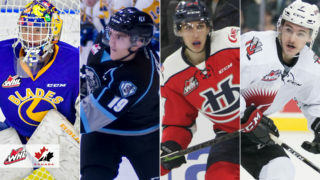 Players like Joe Sakic, Wendel Clark, Jordan Eberle, Steve Yzerman and Stefan Elliott have used the Telus Cup to springboard themselves onto bright NHL careers. 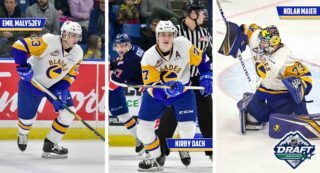 In 2012, the Saskatoon Blades have 4 of their prospects looking to do the same thing. 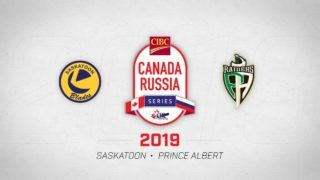 The Telus Cup, the Canadian Midget Hockey Championship, kicked off yesterday in Leduc, Alberta and the Blades have prospects playing on two of the six teams present at the event. 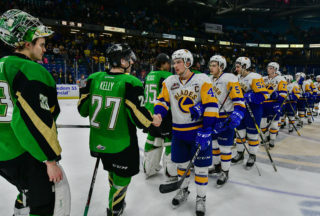 Two of those players are local products with Nelson Nogier and Ross Hnidy lining up on the blueline for the Saskatoon Contacts. Nogier was selected in the 4th round, 71st overall, in the 2011 WHL bantam draft. He finished the regular season by posting 3 goals and 13 points in 43 games this year for the Contacts. Hnidy was selected in the 6th round, 115th overall, in that same bantam draft. He put up 7 goals and 23 points in 43 games for the Contacts this year. Both of them also made their WHL debuts this year for the Saskatoon Blades as 15 year olds. 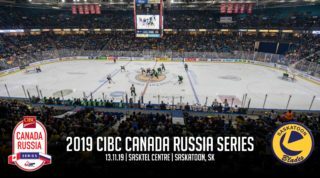 The Contacts opened up the event by tying the Red Deer Rebels 2-2 yesterday, with Hnidy registering an assist in the game. The Blades also have two players playing on the Leduc Oil Kings, the host team of the event. Defenceman Macklin Pichonsky is playing on his hometown club. He was an 11th round choice by the Blades, 240th overall, in the 2010 WHL bantam draft. He posted 19 points in 34 games this year for Leduc, while also dressing for a pair of WHL games with the Blades. The only forward prospect the Blades have in the event is Evan Polei. Polei was selected by the Blades in the 11th round, 225th overall, in the 2011 WHL bantam draft. He posted 15 points in 33 games this year for the Oil Kings. Leduc opened the tournament with a win yesterday, with Polei earning the tying goal late in the game before the winner was scored with only 36 seconds remaining. The final was 5-4 with Leduc downing the Moncton Flyers.